Mom always said, "It's not nice to brag", but we're pretty proud of our award-winning designs. 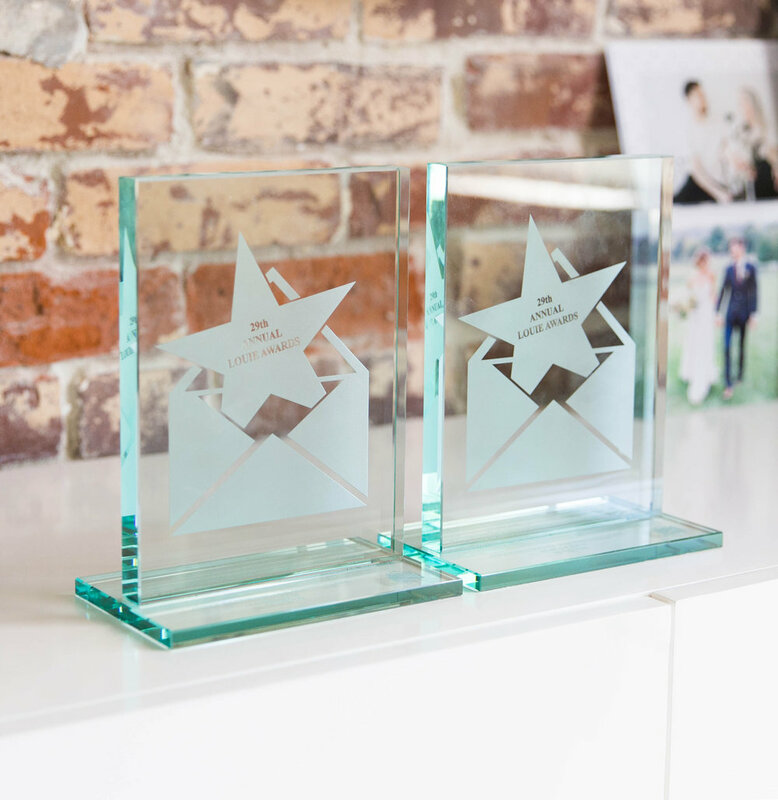 Mixbook awarded two LOUIE Awards by The Greeting Card Association! The Greeting Card Association is the U.S. trade association serving the greeting card and social expressions industry, promotes the tradition of sending greeting cards, helps members grow their business through leadership/advocacy on industry issues, and recognizes creativity. For the past 30 years, the GCA throw a big bash to celebrate the best of the best: the LOUIE Awards. 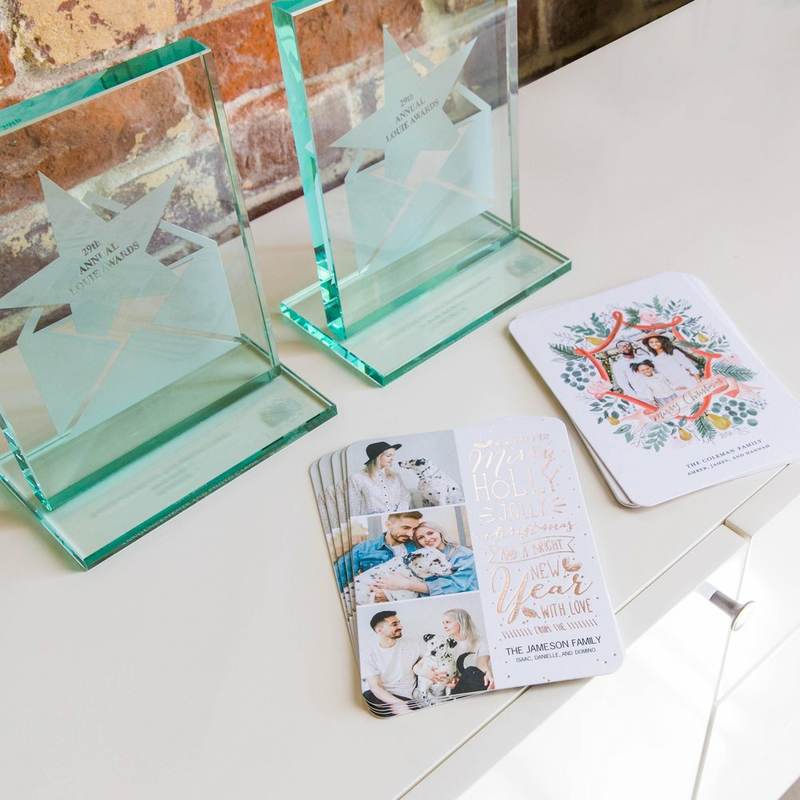 Hundreds of companies from around the world enter thousands of their best cards for the chance to win the coveted LOUIE Award. Here at Mixbook, we've been proud of our recent additions to our stationery lines, including many exclusive designer partnerships and new real-foil greeting cards. ...and guess what, the Greeting Card Association loved them too! Mixbook was awarded two LOUIE Awards for two of our holiday card designs. This beautifully hand-illustrated design is one of our designer collaborations with Lily & Val. Lily & Val has been crafting hand-lettered chalkboard art, greeting cards, and assorted paper goods since its creation in 2012. Each item is personally hand-lettered and illustrated by Valerie Mckeehan, a creative soul who infuses her work with the same whimsy and elegance that inspires her at home. 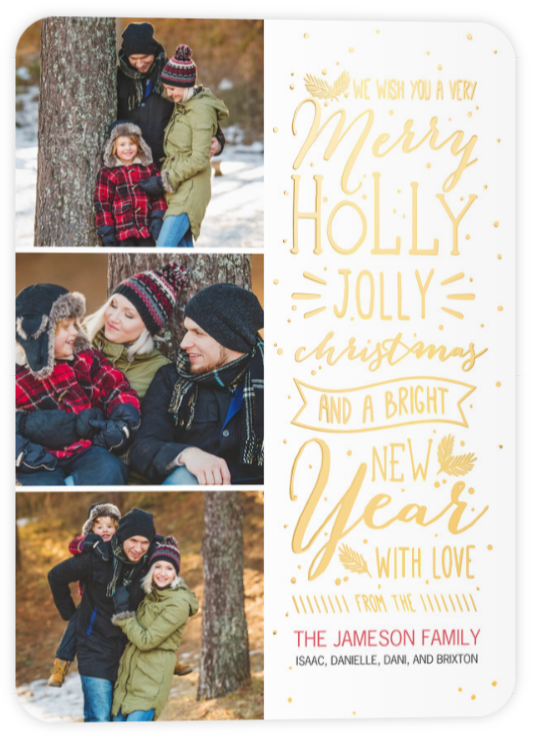 Our Festive Typography holiday card features our stunning real-foil embellishment and multi-photo slots to showcase difference moments from your past year. Framed with a whimsical typographic illustration, this card brings cheer to all its recipients. Each year we release hundreds of new, on-trend designs. We hope you find one that you fall in love with this year! You can shop these two holiday cards and more on Mixbook.com.